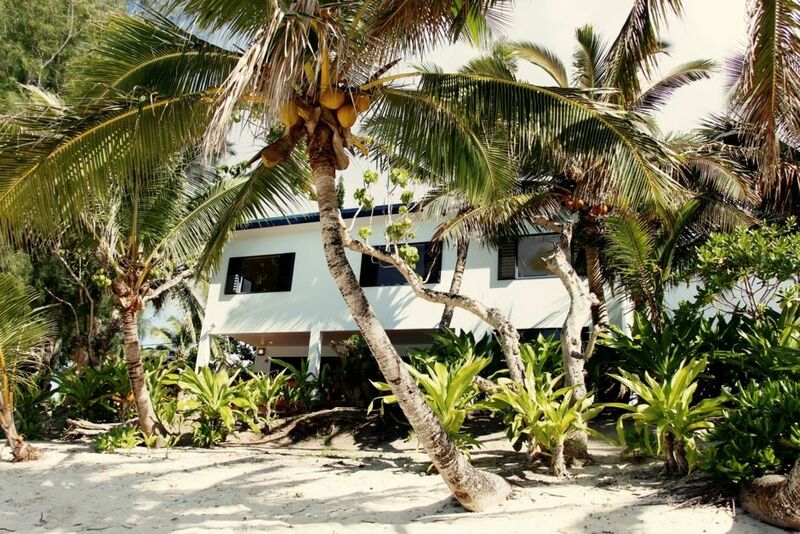 Absolute Beachfront 4 bedroom 2 story house located on Tikioki beach, Titikaveka, Rarotonga. All rooms have fabulous views of the lagoon with fantastic snorkeling, swimming, paddle boarding, kayaking and kitesurfing right on your doorstep. ikioki is undoubtedly one of the most popular beaches on the island - where the world famous "Fruits of Raro" is located with some of the best snorkeling on the island. Just a short 10 min stroll or a 2 min drive to popular Muri beach. Also within walking distance is Charlie's Paddle Boarding Hire and Cafe. Children are welcome but small children will need to be supervised, management take no responsibility. Property is perfect for a group of friends to stay and enjoy the island. We had a wonderful stay at this property and would definitely recommend it to others. Thank you so much! Glad you had a great time! Kia manuia Mark! Brilliant venue for a family group or friends. Good sized bedrooms, great living area and flow to decks; one for the sun lovers and one with shade. Right on the beach, which had all day swimming, snorkling and canoeing. Great there was a locker with plenty face masks, flippers and reef shoes in different sizes. easy stroll to Muri Beach on the road or along the beach. Loved the house and loved Raro! The property is in immaculate condition as per the pictures. The property is in immaculate condition as per the pictures. So convenient with the night Markets just up the road in Muri Beach. Our entire group loved the house. Our entire group loved the house. We were very excited to be there. Our favorite activity is snorkeling and that is why we picked this house. Every room had a view of the beach. The house is also located close to places we made our hang spots, charlie's, te manava spa, rumours, close to the action at muri. It is located right on the beach. We made the most of beach walks, kayaked out to watch the sunrise and sunset and we weren't disturbed by the "roosters". Our family had an amazing holiday in Rarotonga and staying at this house for 8 days. Our family had an amazing holiday in Rarotonga and staying at this house for 8 days. It was a perfect fit for our needs, fantastic location, right on the beach and within easy access to shops, resorts, cafes, good snorkelling etc. The house is modern, great outdoor spaces and easy to live in. Everything provided that you could possibly need. Highly recommend this house for groups of 6-8. One word: Paradise. This modern home is very well kept, incredibly clean and it's location on the island cannot be beat. The snorkeling from the house is probably also some of the best we experienced on the island. The beds were really comfortable, the kitchen fully stocked and the outdoor veranda overlooking the ocean was a perfect hang out spot.